KARACHI:(pirbuxnoonari) The DMC Central Chairman Rehan Hashmi has declared emergency in central Karachi due to the prediction of met office expected heavy rainfall on Sunday and Monday. Following the emergency Hashmi took a whirl wind tour of his area and directed cleaning of nulahs and also sewerage lines. 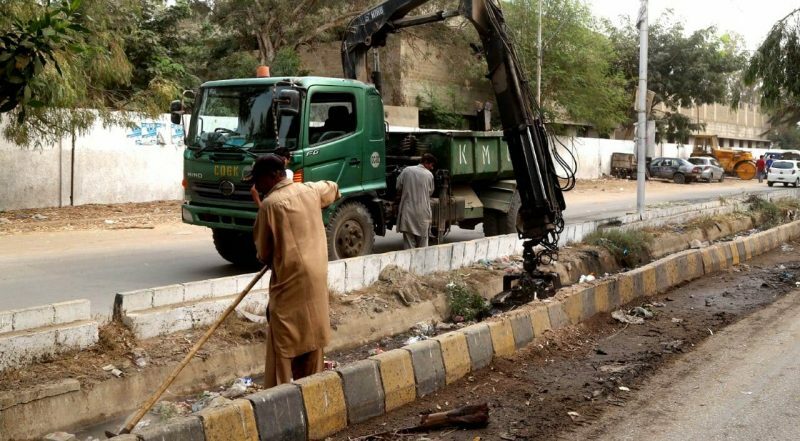 He observed that encroachments in district central are the biggest hurdle in cleaning small and big nullahs. Due to the emergency sanitary staff and kundi men have been directed to report on emergency duty due to expected rainfall.